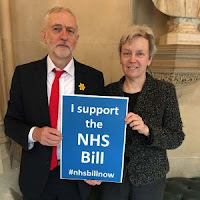 The Labour party have pulled the plug on support for the parliamentary bill that gave the NHS the only chance it had of being fully reinstated back into public ownership. The NHS Restoration Bill, sponsored by Labour MP Elaine Smith was due to be heard on the 11th July in the house of commons. But on Wednesday afternoon the Wolverhampton Labour MP posted a statement on her social media page saying the bill had been withdrawn and that she's "now received clarification from the Health Policy team as to where the resistance to the Bill came from". It's unknown at this time why the Labour party have come up against resistance to the bill since a motion at a Labour conference last September fully supported the bill in its entirety. Smith continued "In view of this [resistance] I want to reassure supporters of the Bill that the main thrust of its content will be maintained; we are going to try and work through and resolve the issues; meetings are being arranged for next week - and I expect to be invited to take part in them". 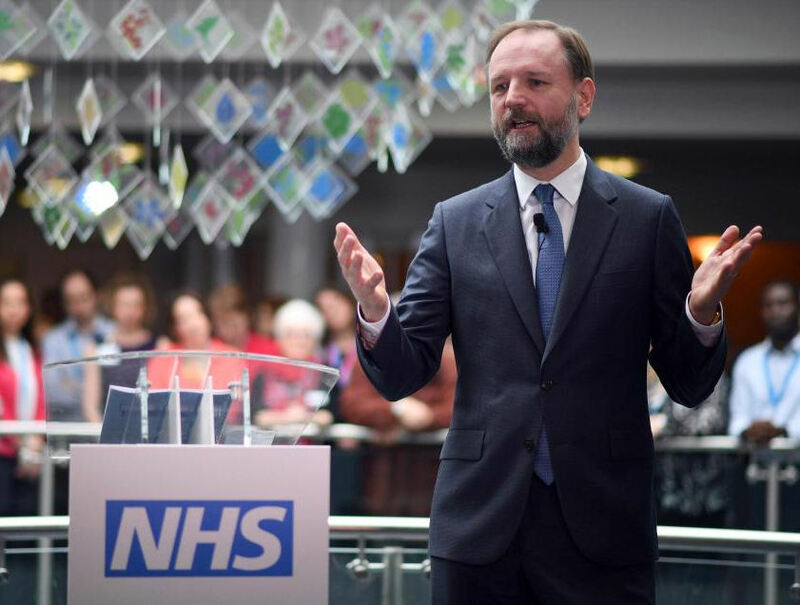 Although the NHS bill was important in itself, it's the principles behind the bill that drove Labour's NHS health policy culminating in the Labour party committing to the bill at last September's Labour party conference. "Conference recognises that reversing this process demands more than amending the 2012 Health & Social Care Act and calls for our next manifesto to include existing Party policy to restore our fully-funded, comprehensive, universal, publicly-provided and owned NHS without user charges, as per the NHS Bill (2016-17)". The speakers at the conference included shadow chancellor John McDonnell, shadow health secretary Jonathon Ashworth and Professor Allyson Pollock, co-author of the NHS Reinstatement Bill, which has for so long acted as a beacon for campaigners against NHS privatisation. Labour have always supported the NHS bill and approved MP's sponsor it many times since its initial reading around 2015. The second reading of the bill however attracted only 15 Labour MPs to its debate in parliament - about 94% of all Labour MPs didn't bother to turn up to support the NHS reinstatement bill. The Campaign for the NHS Bill is provided by Public Matters, a not for profit company. Along with other groups such as Keep Our NHS Public [KONP] Public matters provided a statement on social media which caused an uproar in the NHS campaigning fraternity. The public outcry must have reached Labour's HQ as after a short while Labour's Shadow health & social care secretary Jon Ashworth posted a long article saying previous reports about the NHS bill veto were 'fake news'. We are extremely concerned and surprised to see Jon Ashworth, Shadow Secretary of State for Health, label the statement on the withdrawal of the NHS Bill as ‘fake news’ on his Facebook page. We put the statement out on behalf of the reinstatement bill group. It was approved by Eleanor Smith MP who was going to present the bill. The statement we issued did not attack either Jon Ashworth or Jeremy Corbyn on these issues. It simply expressed concern that the bill should not have been allowed to have its reading. That was specific and not fake. The issue of why that happened has not been addressed. "We will continue to provide evidence based information on privatisation and political manoeuvres around these issues. Labour could have issued a simple apology and said they got it wrong on this occasion (or given a polite explanation of why they did not feel it was appropriate at this time). Disappointing that they sought to cast doubt on us and the Bill Group instead. So have Labour now detracted from their commitment to support, sponsor or promote the NHS reinstatement bill? Nobody has actually said why the Labour health team pulled the plug on such an important bill and where the 'resistance' to the bill, which is basically Labour's own composite 8 motion, came from? Have Labour reneged on their commitment to the NHS bill and hence their own policies? The cross-party bill, whilst not supported by the Tories, was a huge boost for campaigners and Labour supporters alike. Supporting the bill was crucial to gaining cross-party support, as well as support from NHS campaigners who spend hundreds of hours fighting to save the NHS from further privatisation. Who or what is resisting the bill ? Statement from Eleanor Smith, MP for Wolverhampton South West.. The Health & Social Care [HSC] Act 2012 created GP-led Clinical Commissioning Groups (CCGs). Section 75 3(a) of the Act imposes requirements relating to competitive tendering for the provision of NHS services to 'any qualified provider'. CCGs feel they are open to legal challenge if they do not tender NHS contracts under the HSC Act. What are the doctors playing at? GPs do not have the collective skills to carry out the complex procurement process of putting services out to tender. Instead, they use Commissioning Support Units such as Optum, the UK subsidiary of United Health of America, to perform this function. United Health are the single largest private Health insurer in the United States. 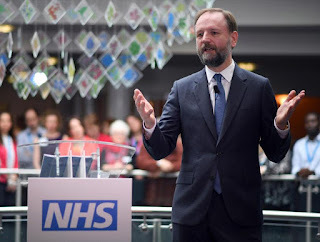 The head of NHS England [NHSE] Simon Stevens [shown above] was previously vice president of United Health working on Medicare and other projects such as expanding the private health care business across Europe. Stevens published his 'five year forward view' [FYFV] document just after the general election in 2015. Sustainability & Transformation plans [STPs] based on the FYFV document were developed in 44 'footprint' areas of England. The FYFV 'vision' brings together Steven's work as vice-president of European division of United health and introduces profit-making American style health care schemes here in England. In particular a variant of the U.S. Obamacare which is part state funded but mostly private insurance-plan based. Here's a clip from Optum's Annual review 2015/16 .. Following a rigorous procurement process throughout 2015, Optum received accreditation as an approved supplier to provide Commissioning Support Services under the NHS England Lead Provider Framework (LPF). To expand the health care market in Lincolnshire and beyond, Optum do not initially need to provide services, only influence and control the strategy that delivers them. This furthers the process to gradually enable them to be part of what are called Accountable Care Systems. These are the ultimate goals for Stevens, and the end game for the NHS. Accountable Care Systems (ACS) were previously titled Accountable Care Organisations (ACOs), but NHS England thought the name had connotations that were too close with American private health care so the name was changed to Accountable Care Systems. Ultimately they are the same entity. If it looks like a duck, swims like a duck, and quacks like a duck, then it probably is a duck, an Accountable Care Duck. *The only substantial difference between the ACS and ACO are the number of 'partners' signed up to the accountable care scheme. To add to the confusion, other titles used are Integrated Partnerships, Accountable Care Partnerships etc. No matter what they are called, Stevens and NHS England has said over time they are all to become ACOs (March 2017 NHSE). An ACO is a network or 'partnership' of GP federations, hospital trusts, care trusts, social & community care and mental health care providers that share financial and medical responsibility for providing coordinated care to patients in the hope of limiting unnecessary spending. A fictitious ACO is shown below depicting a typical 10 year contract to providers who may then sub-contract out any services. Over in the states ACOs have sprouted up as ways to reduce the national deficit, Medicare became a prime target. With baby boomers entering retirement age, the costs of caring for elderly and disabled Americans are expected to soar. One of the main ways the ACOs seek to reduce health care costs is by encouraging doctors, hospitals and other health care providers to form ACS/ACO networks that coordinate patient care and become eligible for financial bonuses when they deliver that care more efficiently. In many cases the efficiency is sought by withholding treatment and rationing medicines, they call this demand management. The fewer patients they treat, the more money the government save, and the more bonuses the ACO partners receive from the government. Providers make more money by attempting to keep their patients healthy and in particular out of a hospital setting. *This is where the market for private providers expands since this is used to justify transferring public NHS services from hospitals into communities and straight into the private sector. ACOs are profit-oriented systems that rely heavily on two major factors: Managing demand, and capitated payments. This is where problems lay for the NHS in England. CCGs are already managing demand by rationing medicines and treatment. But there are more perverse incentives when ACOs are actually established. Competition between ACOs rises between the private sector who will step up their share of the market to cater for more and more patients who can't or won't wait to access medical treatment and services that have been rationed or where patients have been 'denied care' by the ACO. Health insurance plans then become a viable option, and as with dentistry in England, we will have taken a retrograde step into a two-tier system where those who can pay will pay, and those who can't will only have access to a rump healthcare system similar to Medicare and Medicaid in the U.S.
*In the U.S. Medicaid is for under 65's, Medicare plans are for over 65's. ACOs may include private providers as 'partners'. In fact they are encouraged to do this (as it reduces competition and thus increases profits for the ACO). Providers make more money and recieve more bonuses if they can prove to the health department they are keeping their patients healthy. The main concern is 'how' they do this since the payment system with these ACS/ACOs is based on a limited amount allocated per patient (capitated) rather than per treatment. Capitated Payments don't account for fluctuations in populations or patients who use cross boundary services. Each ACO could end up competing with each other giving rise to the commercial sector taking on a whole ACO ten-year contract (see image above with the fictitious Kaiser Virgin Ltd). 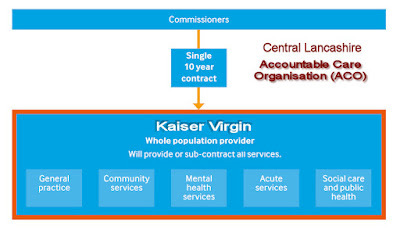 NHS England are using the term 'integration' to sell ACOs to the public. This is a misnomer. The term integration has its origins in the USA care pathway where paying paitients make their own decisions on which physician (e.g. dr, Nurse, specialist, surgeon or consultant) they should go to first. This led to confusion as patient records were fragmented across different providers. This is completely different to the NHS where the patient is guided by primary and secondary care professionals. In terms of the NHS, Stevens and NHSE are using the 'integration' vernacular to justify formation of partnerships that would also incorporate the social care budget. Sustainability & Transformation Plans changed title to Sustainability & Transformation Partnerships. Some footprint regions were trialling NHSE vanguard care models so changed their STP titles to either Integrated Care Partnerships (ICP), or Accountable Care Partnerships (ACP). They are all based on the same FYFV document are are just various prototypes of an ACO.